The SU-122 (Samokhodnaya Ustanovka 122mm) was a Russian-made, self-propelled howitzer or assault gun during WW2. The number ‘122’ refers to the caliber of the main armament – a 122mm M-30S howitzer. 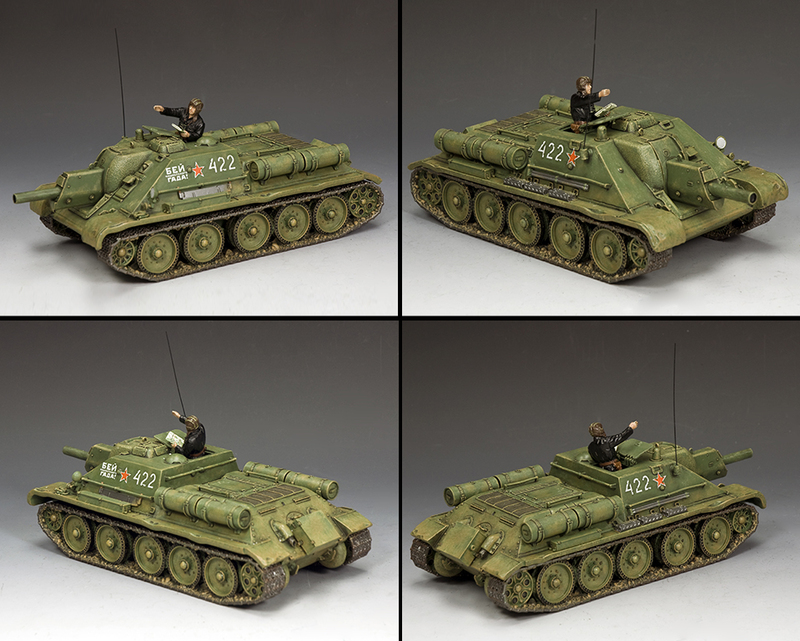 The vehicle chassis was the same as the famous T34 tank. Design and Production began in 1942 and continued until the summer of 1944. By then a total of 1150 vehicles were produced. 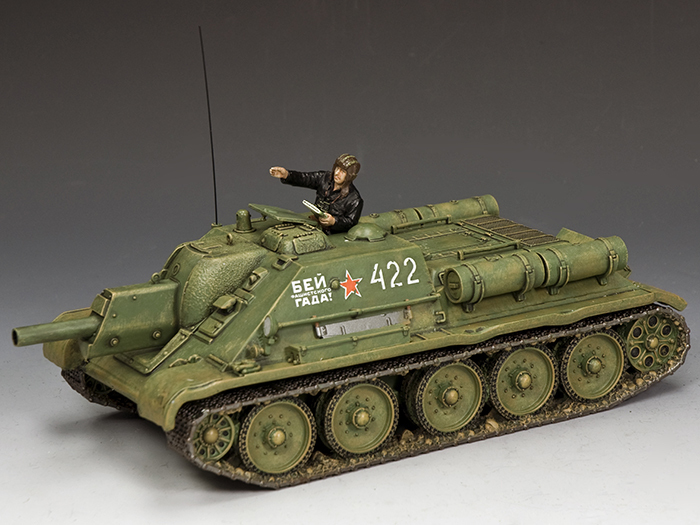 Our K&C model is in typical Soviet markings and colour scheme of the mid war period complete with patriotic slogan “Kill The Fascists” and comes with a tank commander figure.